NBC News has announced new branding for its 2018 midterm election coverage. 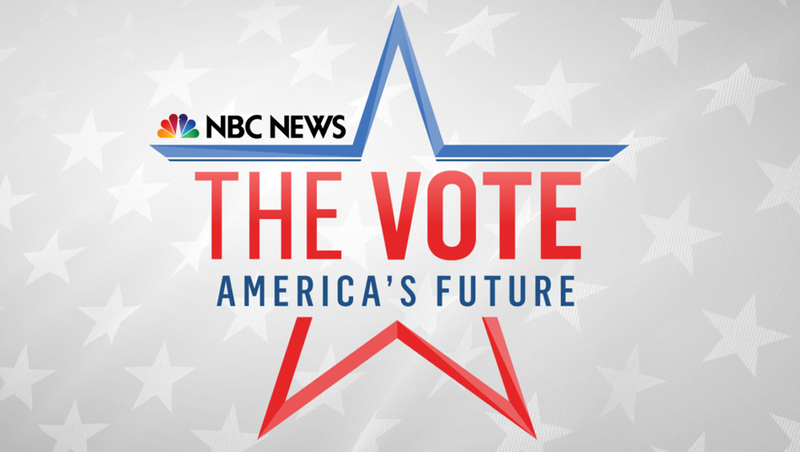 “The Vote: America’s Future” will be used across both NBC News and MSNBC — a departure from the network’s longtime “Decision” branding. MSNBC previously used the branding “Vote!” (with an exclamation point) in 2016, marking a departure from the “Decision” branding. 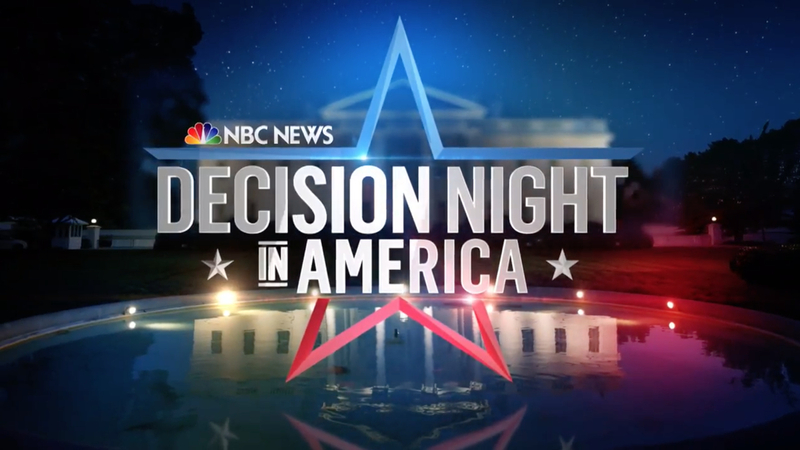 In addition, the 2016 cycle saw the NBC network use a variation on the “Decision (Year)” branding — going with “Decision Night in America,” which was similar to CNN’s “Election Night in America” branding. NBC News would not comment if the “Decision” branding will return for future election cycles or if “The Vote” will make use of its normal election musical cues. The network is, however, retaining the use of the oversized star outline as a base for the new branding’s logotype. The words “The Vote” in large red type in the same font the network used for its previous “Decision” logo — with “America’s Future” in blue below. In addition to the new name, NBC also announced its talent lineup for “Vote” coverage. On election night, “NBC Nightly News” anchor Lester Holt, “Today” co-anchor Savannah Guthrie, “Meet the Press” moderator and NBC News political director Chuck Todd and “Megyn Kelly Today” host Megyn Kelly lead the network’s coverage, according to a statement from NBC. NBC News special correspondent Tom Brokaw, NBC News chief foreign affairs correspondent Andrea Mitchell and other key correspondents and panelists will round out the network’s coverage. Over on MSNBC, Rachel Maddow and Brian Williams will be joined by “Deadline: White House” anchor Nicolle Wallace. NBC News correspondents Catie Beck, Garrett Haake, Kasie Hunt, Steve Patterson, Cal Perry, Morgan Radford, Gadi Schwartz, and Jacob Soboroff as well as NBC News political reporters Shaquille Brewster, Leigh Ann Caldwell, Vaughn Hillyard, Mike Memoli, Heidi Przybyla, and Ali Vitali will also offer reporting in the months and weeks leading up to the election.